Born in Denver, Colorado in 1955, Debbie Wyche spent her school years in Suburbia and her summers on a rolling farm her grandmother owned in North Dakota. Those months surrounded by nature led her to develop an early love of horses and all things classic country. When her family decided to move to California later in her life, Debbie continued to fuel her passion for animals by rescuing (to her mother's chagrin) a variety of creatures from dogs, cats, to even squirrels and birds. Though she cared for all things furry and fuzzy, in her youth she never thought about going into animal care as a career. Coming to grips with the euthanasia side of veterinary care was difficult. Instead she found a greater appreciation of nature while living on the edge of a forest in a ten by sixteen foot cabin. There she raised her daughter, Naomi, for many years, by living off of the land without electricity or running water. Those years taught Debbie a plethora of skills, vocations, and various trades while searching for a concrete purpose. In the end, fate brought Debbie back to her original passion as a child, and it was in her early thirties that she rekindled her animal wonderment. An opportunity arose for her to volunteer at a big cat sanctuary - and from the moment she stepped foot onto the property, she was hooked! Being feet away from the tigers took her breath away (as it still does daily), and the amount of work that went into taking care of these regal animals amazed her. 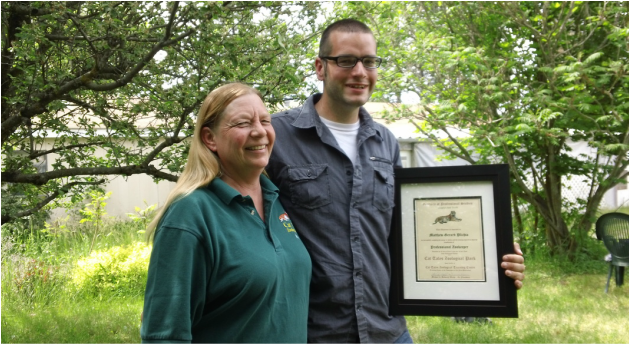 During her probationary period as a volunteer, Debbie saw first hand the incredible work that each employee did with the animals, guests, and upkeep of the grounds. She knew that hard work and dedication would get her into the position that she dreamed of. 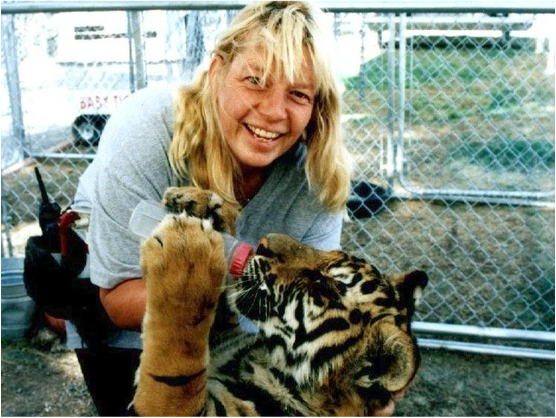 And for two years Debbie did just that, until she was able to work hands on with the tigers themselves. This achievement didn't just set her path for work but for her full life. Having been promoted to a senior keeper, Debbie met her future husband Mike Wyche in the middle of a tour. Her passion and education wooed him so much that he immediately went to sign up for volunteer work - and was placed directly on the shift of volunteers that Debbie supervised and trained. 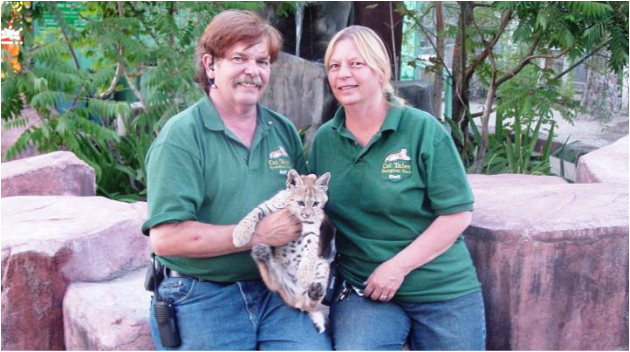 Now with over 25 years of experience, Debbie oversees the everyday operations of the zoo while serving as the head educator of our student classes. Each of her students graduate with incredible skill wanted by zoos and rescues around the world. Her days are busy, but the experiences each and every day are living, breathing proof that hard work, dedication, and the courage to follow a calling pays off. The rest, as they say, is unwritten history.